I mess with a lot of my peoples who are sitting around waiting for Jay Electonica to finally drop an album (ya'll do know Exhibit C was 9 years ago right?) like ya'll REALLY still waiting for dude? But the funny thing is, who am I to talk cause I'm still waiting on a BlackStar sophomore project some 20 years later. But come on ya'll...what hip hop head doesn't want another BlackStar album? Their first jawn was a classic and I loved how Mos' producer Shawn J. did half the project & Tek did the other half with some Beatminerz, J Rawles & 88 Keys sprinkled in between. Both have dropped some solid projects but none of their solo efforts have even come close to the magic that was their Rawkus debut. But since Mos has changed his name & retired from rap more then Jay Z, I though I'd never get another project from these two but then word gets to ear that they are doing a new project and it'll be produced by Madlib?!?!? 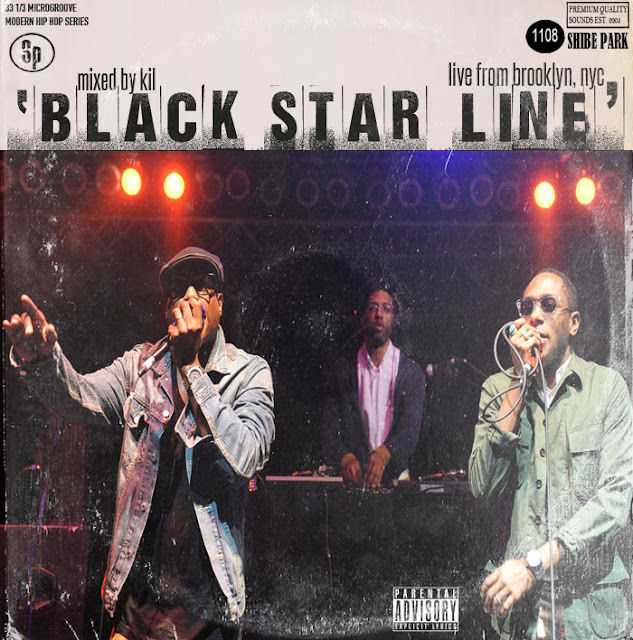 Well...I'll believe that when the actually CD is in my hands and not a second sooner but in the meantime bang out to my "BlackStar Line" mixtape & reminisce on some of their dope solo moments plus what could've, would've and should've been been they're next album up to bat!